During his more than thirty years as a vascular surgeon, Richard Furman literally held clogged arteries and diseased hearts in his hands and wondered why the person lying on the table hadn't been more careful. Heart disease is the number one killer of men and women in America, and in most cases it is completely preventable. So why are we slowly destroying our bodies and killing ourselves? And what can we do to turn it around? Recently, I made a decision that I needed to change my life. I've had high cholesterol for as long as I can remember and I've been overweight for nearly as long. So, when this book came up for review, I jumped at the chance. I'm so glad that I did..while it took me a little while to get through (it gives you a lot to think about), I learned a lot too. For years, I've heard that I need to lower one type of cholesterol and raise another, but nobody told me how to do that. This book does. Filled with a ton of information and written in a way that anyone can understand it, I found myself highlighting entire passages and I even have a post it sticking out at one part to remind me where to find a certain chart. If you have weight, cholesterol or heart problems, this book could be a major help to you. 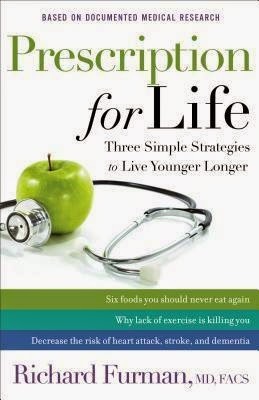 Even if you're in perfect health, this book could make you look at certain things differently. As for me, this one is going into my bedside table so I can pull it out whenever I have a question.